“What’s in my mind is just to try win a cup for ourselves. “It’s always the intention at our club to try win at least one trophy every season. 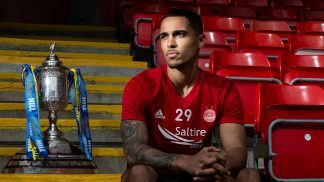 “We’ve hit the post a few times after having put ourselves forward enough times over the last wee while and now we’ve got the opportunity to try put the club in another final. “The intention was to win it when we set out in the competition and we’ve had some tough challenges to get to where we are and there’s another tough challenge on Sunday. “It’s a game we’re certainly looking forward to. “I’ve always felt confident going into these types of games. 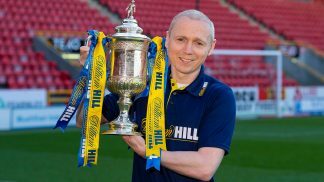 “We’ve had enough experience of this type of fixture and enough experience of Hampden over the last wee while. 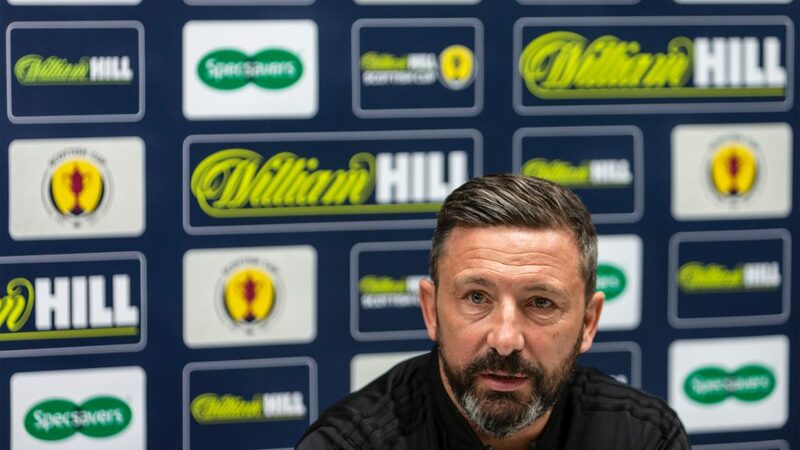 “Other than Celtic nobody’s been to Hampden more than us over the last few years so we’re familiar with the build-up, surroundings and come Sunday I think that familiarity helps. Certainly, the last few games against Celtic in Glasgow there’s not been a lot in it and we’ve always been in the game. “I’ve put together three or four different squads in my time here and this squad has been a younger squad this season. “What they have done is shown great temperament in the bigger fixtures and have dealt with the expectation as well as the game. 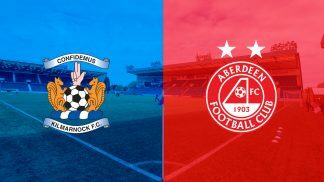 McLennan, McKenna, Ferguson; these types of boys have became permanent fixtures and mainstays in my team and what they have shown in these games like Sunday is just learning not to be fazed and to just get on with it. “It’s great that you can rely on a younger team like that and I think sometimes younger players just go out and play the game rather than the occasion which certainly this season has been a real benefit to us. “What’s clear in the Celtic squad is they have fantastic players who can win a game on their own. “They’ve been a very driven and experienced squad over the few years and it’s been put together for a while. “They’ve been used to winning things. “Every manager’s different and I need to say that Neil’s came in and it’s a tough job. They’ve been very fortunate that Neil was available and he probably sees it as an opportunity for himself. “I think what you see is not a change in styles, maybe just more the personalities. 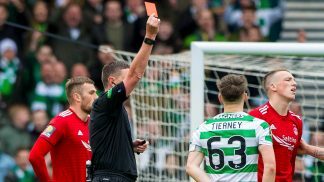 “Brendan’s (Rodgers) side was maybe a bit more patient and deliberate with their work and Neil’s like to let you know that they’re in your face a bit more and ask the question. Both have the same traits of trying to win the game and both have been very successful Celtic managers. What I would say is, Neil knows the club inside out and although he’s come out and said this is Brendan’s team, he’ll be desperate to try and see the job through. “He’s on a hiding to nothing because if he doesn’t win the cup then it’ll be seen as a failure. 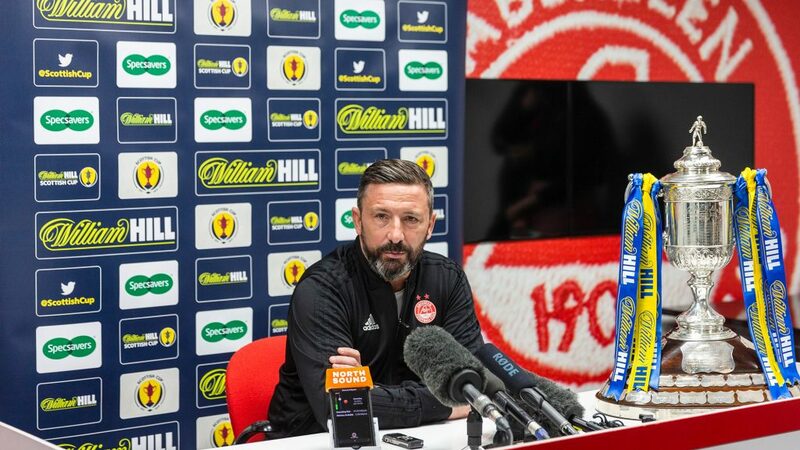 “When the draw was made we still had Rangers at Ibrox to deal with so everybody would have seen we were a long way from winning a trophy then, but we overcame that hurdle. “It was a big step for us as a team to go win that game and I think there’s a body of evidence this season that we can deal with these types of games and hopefully that can play out on Sunday. “We’re certainly looking forward to it. 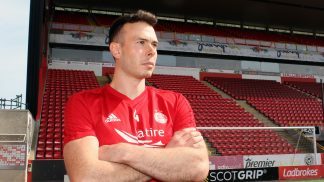 “I feel he’s a key player and we’ve been without Logan and Mackay-Steven of late so we’ve had to deal with missing key players for a while. 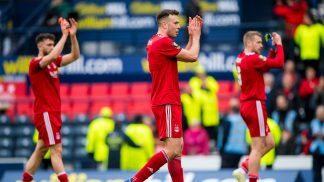 “We can still win big games and it’s well documented how I feel about Shinnie, but we’ve known for a while now that he’s going to miss this game so we can’t be too hung up on that. “He’ll travel with the team to the hotel and be part of the preparation and in the dressing room before the game. He’s a respected member of the squad so he’s eager to be there and we’re eager to have him. “I can shout from the rooftops about the merits of having Sam in the team even when he doesn’t score, but when he does score clearly it’s important for any striker. “I take real pleasure in the fact that Sam has reached that milestone of 20 goals. It’s difficult for strikers to reach that tally and it seemed to be their figure to get to. 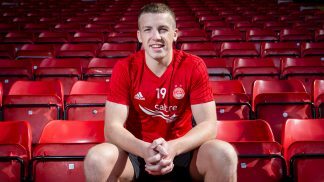 “Rooney came in and done it time and time again and a team like Aberdeen, I feel should have a striker that can reach that level. “Brendan Rodgers’ team had a bit of that in them as well with the Rogic goal in injury time against us. I think it’s probably a trait of a team that’s used to winning rather than just generalising to Neil’s Celtic team. “When you’re playing against so many good players that can change the game in an instant, you’ve got to be fully concentrated until the final whistle. We’ll have players on the pitch that can give them something to think about and like any game it’s just about getting the balance right between attacking and defending. Recently against Celtic we’ve managed to get that right and given ourselves a chance. “I always feel in these types of games it’s important we show the confidence and let the opposition know we’re in their face and we’re not here to just make the fixture up. 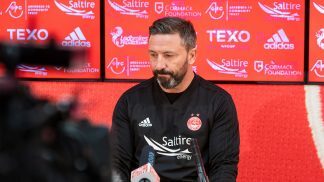 “An Aberdeen team should always be hardworking and motivated but should certainly have the confidence and ability to play. “Hopefully that can be the case. 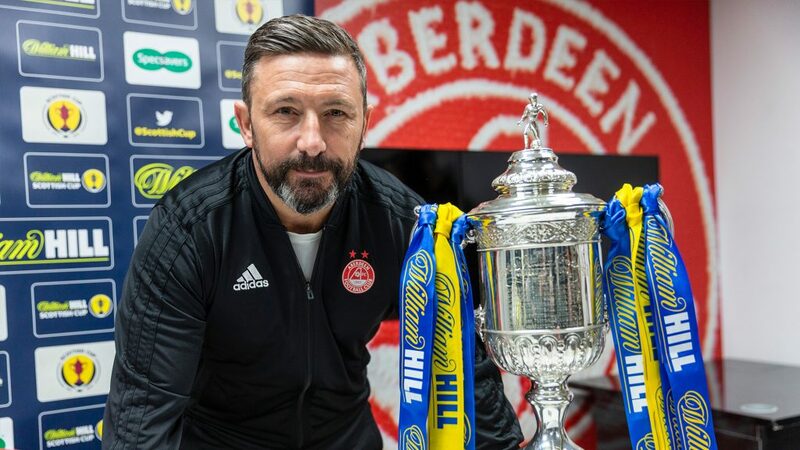 “If we can strike first and get ourselves in front then, and only then, would it maybe put some sort of pressure on the Celtic team about having that failure not to deliver the treble treble because there will be huge expectations on their team to deliver. 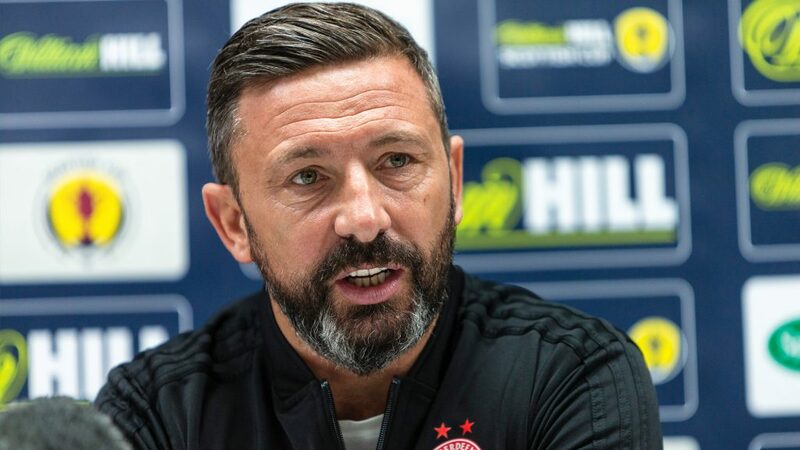 “We went to the League Cup semi-final against Rangers and were outnumbered, but they let us know they were there and got behind us at crucial moments. 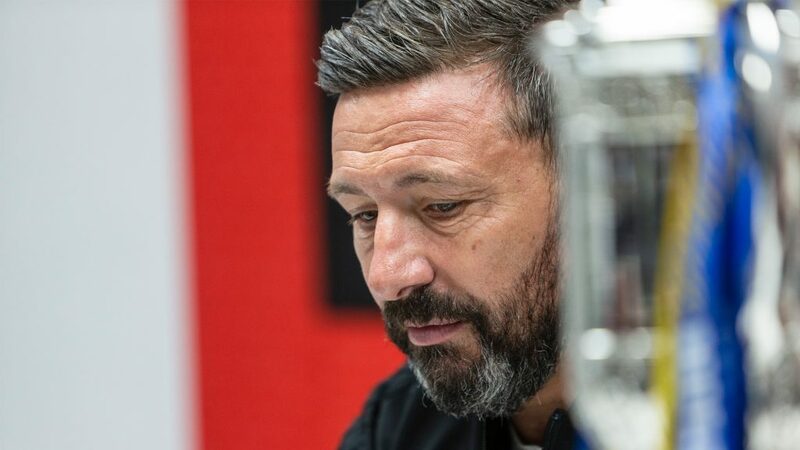 “I’m sure we’ll hear them again on Sunday and hopefully we’ll hear them at the end of the game celebrating because it’s a great feeling to go to Glasgow and win when nobody else is expecting it.